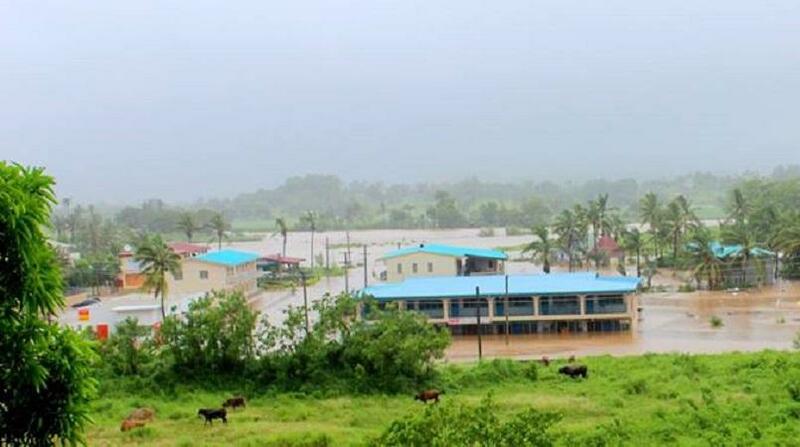 Heavy rain in Fiji has caused parts of Nadi to flood as a heavy rain and flood warning remains in force for the whole of Fiji. FBC News says the Nadi Back Road is under water and all traffic is being diverted through the main town. Navua is also experiencing heavy rain however there are no reports of flooding. A flood warning remains in force for the low lying areas and adjacent to Rakiraki town. A flood warning is in place for Rakiraki town, Ba river, Sigatoka river as well as the Nadi river. A Red Cross water and sanitation specialist, Ana Zarkavic, told our reporter she was very concerned about remote inland communities, still waiting for help and advice on all important sanitation issues. Heavy rain has cut off access to hundreds of households which still need help. The bad weather also disrupted water supplies in towns like Tavua, just as people try to get back to normal. Aid authorities said about a quarter of a million people in Fiji still needed help with water, sanitation and hygiene across the country. They said open defecation had the potential to exacerbate disease outbreaks, including typhoid.